New Delhi, Dec 15: Bollywood actress Anushka Sharma and Indian captain Virat Kohli's marriage is the talk of the town these days. The wedding pictures of the lovely couple are already viral on social media. Everyone is speculating how much would have been spent on this marriage of the year. 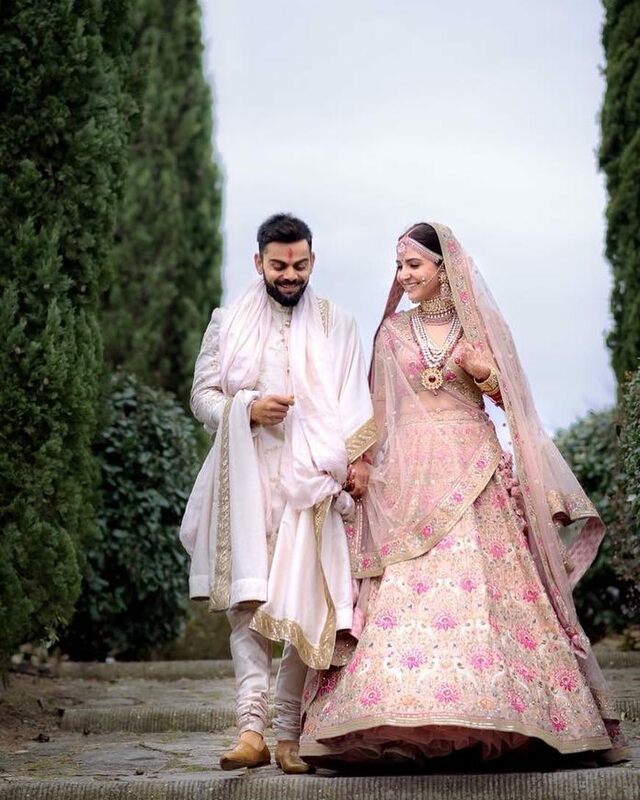 Anushka donned a pale pink lehenga in her wedding in Italy and everyone gave thumbs up to her outfit. Anushka had donned Sabyasachi's lehenga for her D day. According to Sabyasachi, 67 designers made Anushka's lehenga in 32 days. Special handwork was done on the special lehenga made for Anushka's BIG day. Anushka was looking like a dream girl in the lehenga and choli. Besides gold and silver threads embroidery, pearls and beads were applied on Virat's bride lehenga. According to reports, the cost of this beautiful lehenga was approximately Rs 32 lakhs. The entire look of Anushka costed nearly Rs 40-45 lakhs. 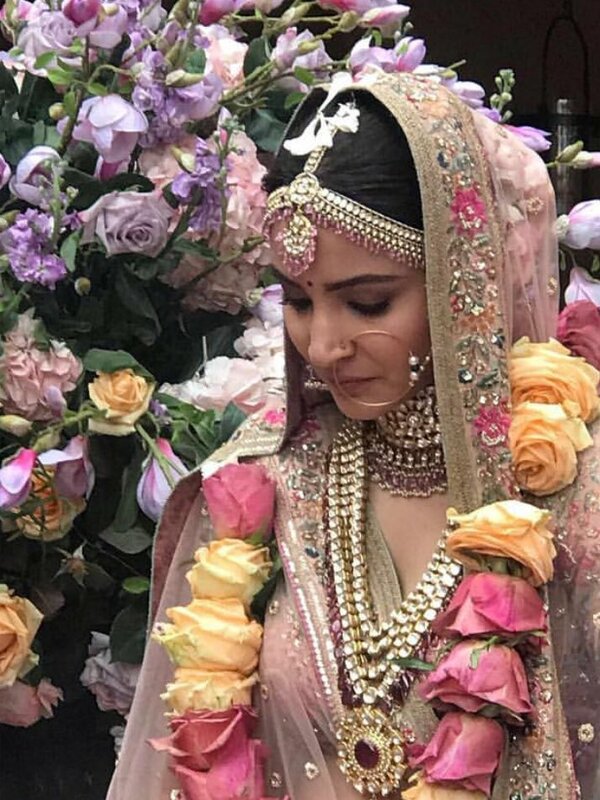 Anushka was also seen wearing specialty jewelry for her wedding. The set which she worn in the neck, has been done in traditional jadeau work in which special Japanese pearl were used with uncut diamond.